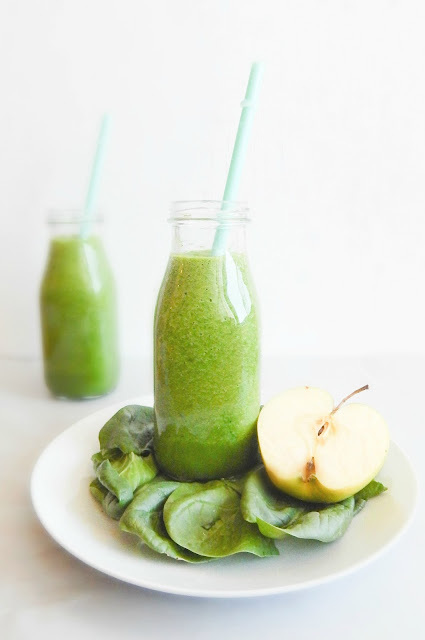 Green smoothies are made by blending large quantity of raw leafy green vegetables with fruit to soften and sweeten the taste. 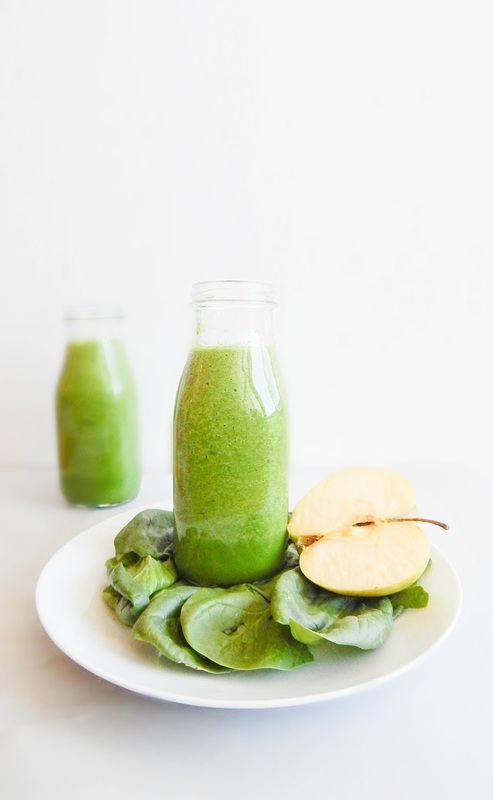 You can also replace spinach with spinach, swiss chard, collard greens, celery, broccoli, and parsley. Try this nutritious smoothie with spinach, green apple, banana and milk. It is so good if you have this as breakfast. It will alkalize the body and boost the metabolism. Wash spinach, remove stems and discard it. Roughly chop the leaves. Cut the apple, remove the seeds and chop them into small pieces. 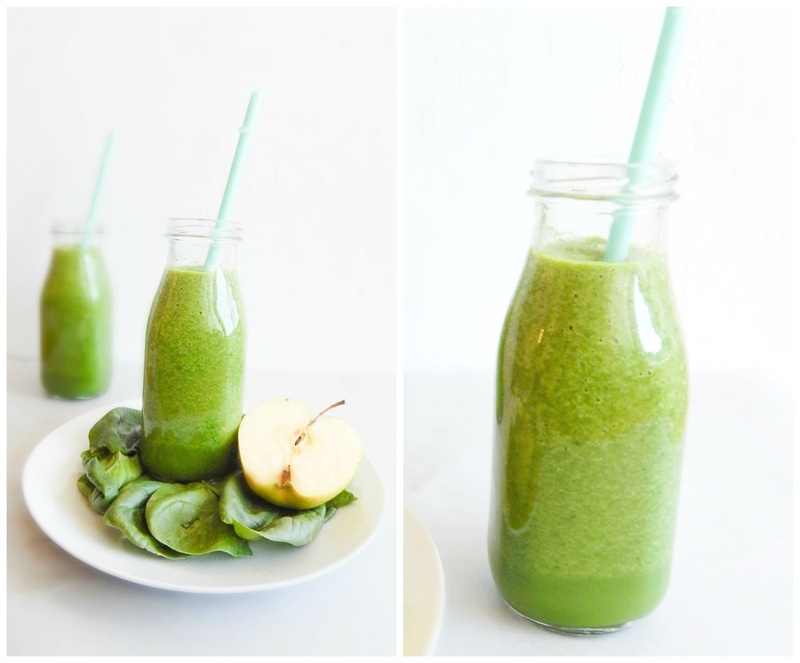 In blender, puree spinach, banana, apple, nuts, milk and honey until smooth and frothy.